The Holvi team ‘built a bank’ in 10 months. At Finovate, they demoed their ‘checking account for group activites’ assists groups with raising money / crowdfunding, distributing cash, processing expense reports & tracking/categorizing/sharing it. A couple of weeks ago, I covered Finovate Europe 2012 live on the Visible Banking blog. 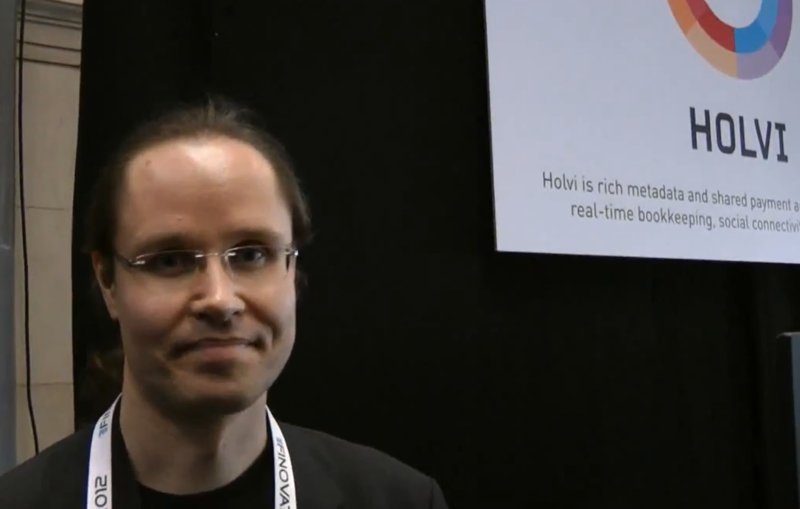 At the end of another long day packed with innovative digital services and platforms, I managed to record a short interview with one of the demoing companies, Finland’s Holvi. The company demoed its online platform designed to care for most of the financial needs of groups, charities and other associations. I invite you to watch my short video with Tuomas Toivonen – Co-Founder & CEO.